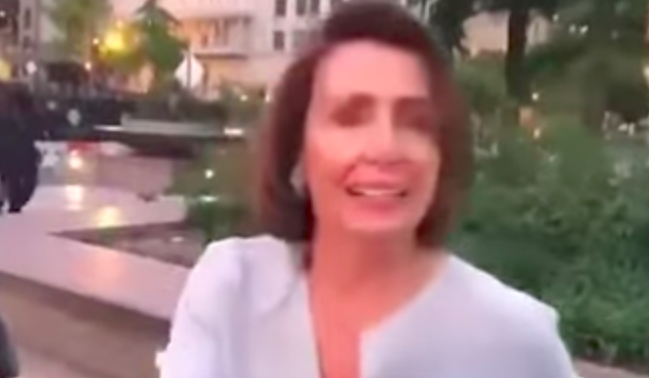 “Nancy!”, the man called out as he went to shake Pelosi’s hand. “Hi”, Nancy said to the man hesitantly. Pelosi appeared shaken by what the man had said to her. Pelosi chuckled as she caught up with the group of people she was walking with.